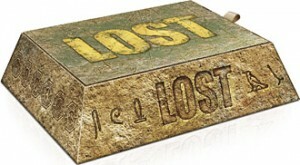 Lost probably tops the Blu-ray releases this week. The show, which was an early showcase for broadcast high-definition television, celebrates the release of two box sets. Lost: The Complete Sixth and Final Season contains all sixteen episodes of the final season of the ABC show, along with special featurettes, bloopers, deleted scenes, and commentaries. A total of 5 discs are formatted in MPEG-4 AVC 1080p video with DTS-HD Master 5.1 for audio. 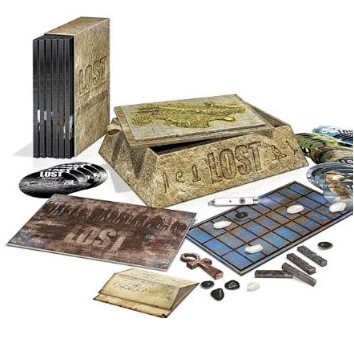 Right now, get a 30% discount on Lost: The Complete Collection and 40% discount on The Complete Sixth and Final Season. Young Kevins daydreams burst into astonishing and hilarious life when a band of time-traveling little men come crashing through his bedroom wardrobe and carry him off on an unbelievable crime spree, weaving through the greatest and strangest moments of history. Jennifer Lopez stars as Zoe, a single New Yorker who dreams about meeting Mr. Right, having a baby and living happily ever after. But after a string of Mr. Wrongs, Zoe commits to her back-up plan: to take on motherhood alone. Talk about lucky! Season 13 of The Simpsons arrives on Blu-ray and DVD with 22 hilarious episodes and tons of fun-filled extras, including audio commentaries, animation showcases, and featurettes. Here is a link to all the Blu-ray releases this week.